Amidst swaying royal palms and blossoming bougainvillea, CuisinArt Golf Resort & Spa surpasses the term Anguilla luxury resorts. 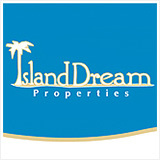 The five-star beachfront property has long been considered a "Caribbean best." World-class cuisine, Greg Norman golf course and award-winning spa round out the CuisinArt experience. The exclamation point? 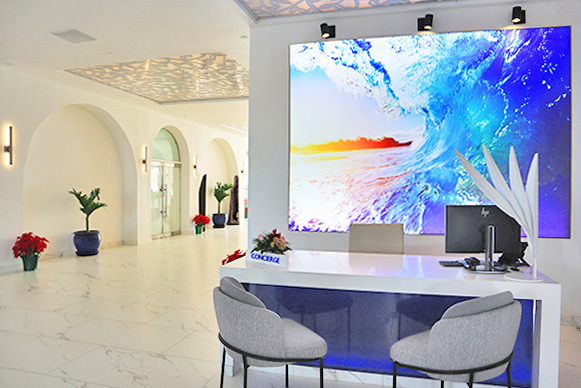 Fourteen months of large-scale renovations (2017-2018) have secured CuisinArt as one of the top hotels region-wide. 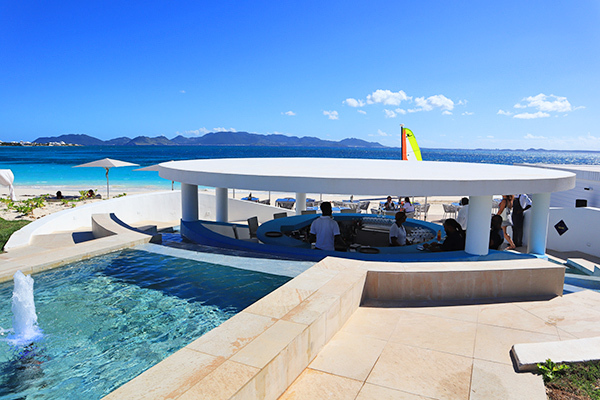 Let's take a look inside this leading Anguilla luxury resort. 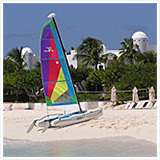 CuisinArt Golf Resort & Spa has long been our family's favorite luxury Anguilla hotel. It all began back in 2006, when my Dad fell in love with CuisinArt's sumptuous suites. 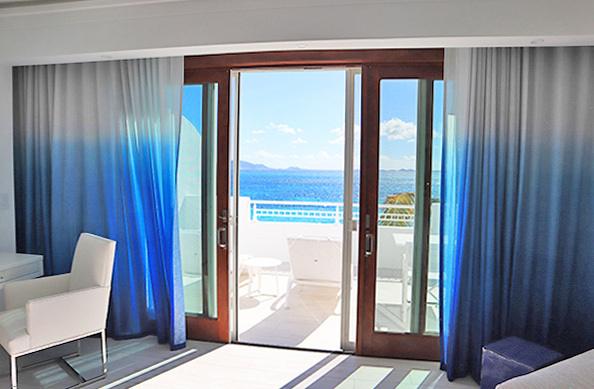 Falling asleep to the sound of the sea, waking up to the views of Caribbean blue... CuisinArt stole all of our hearts. The CuisinArt love affair has continued since. Our love for CuisinArt, the property and its family of staff burns ever stronger today. Fourteen months of vast renovations were carried out by the whole local CuisinArt team. The essence of family is built into the resort's foundation. CuisinArt is where the heart is. Before we get started, see the video above for a full look inside. 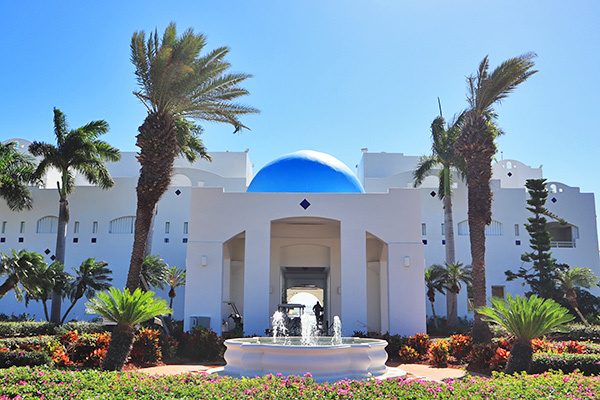 As you approach CuisinArt Golf Resort & Spa's familiar blue domes, a sense of calm washes over you. Arriving at CuisinArt is like coming home. It is a credit to the CuisinArt family. 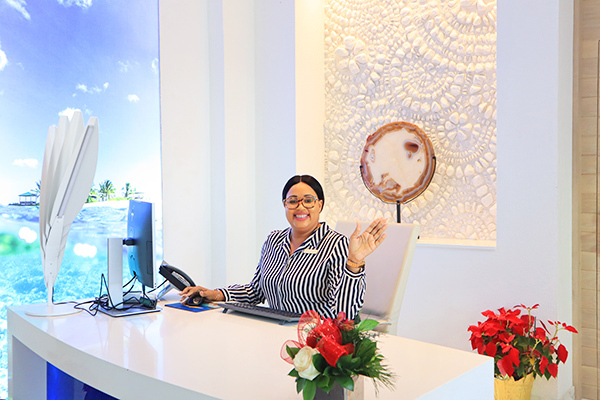 Each person has been integral in the resort's transformation. With pure enthusiasm to assist and share the beauty of the re-imagined resort, at CuisinArt you are in loving hands. The lobby itself has been completely re-designed. Its striking corridor runs through the lobby, all the way to the sea. 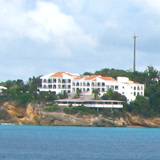 That walkway has long been one of the most iconic points of view in Anguilla. 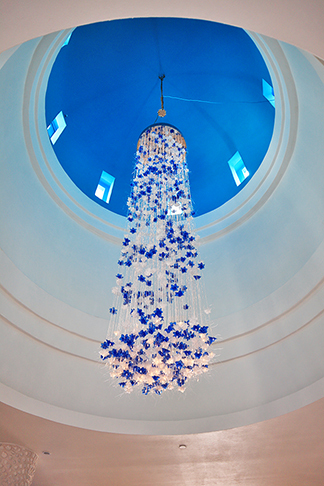 A breathtaking chandelier, dancing in blue and white greets you as you step inside. 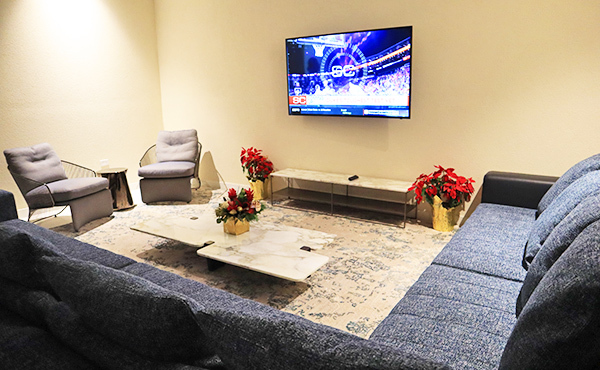 A discreet check-in area sits to your right with a plush sitting area to your left. Fresh, crisp white walls are offset by textured backdrops and pillars. 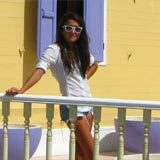 It is all accented by sharp imagery of Anguilla's serene waters and a wall of mesmerizing dancing bubbles. The media room is tucked just off of the lobby. Modern in feel, it is one of the resort's most comfortable gathering points. ... once you settle in, be warned. 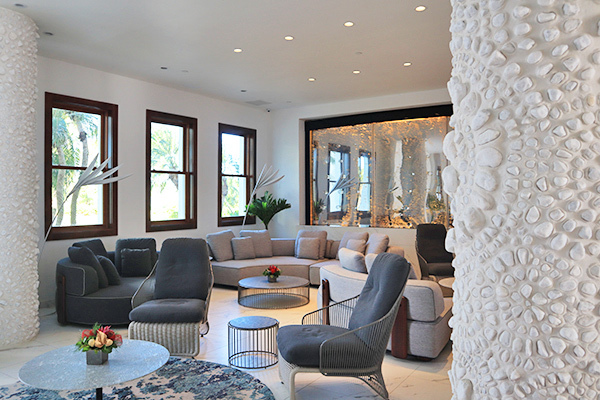 A room so plush, you may never want to leave. 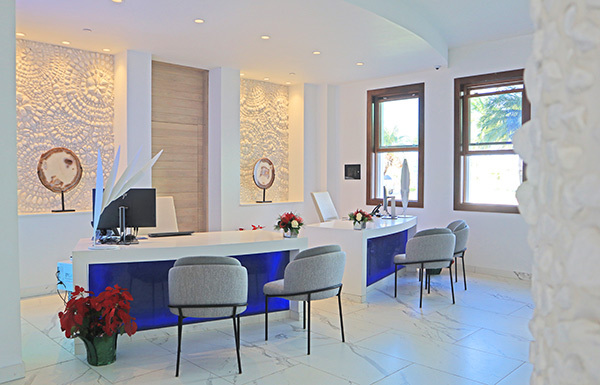 Back through the lobby, CuisinArt's chic boutique is to your right. 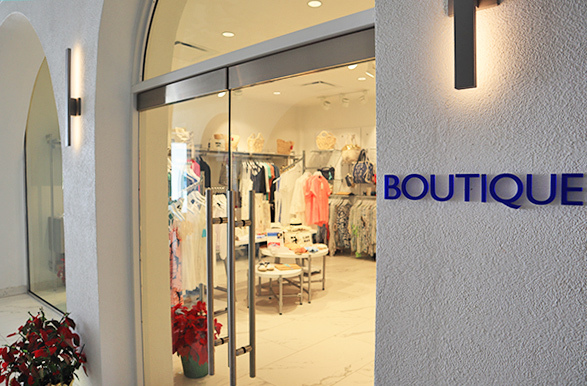 The boutique is ripe with trendy beach bags, beach wear, shoes and accessories all fit for an Anguilla vacation. Don't be shy to ask for assistance. The shop keepers are friendly and always happy to make a suggestion or find your size. Across from the boutique is the resort's conference room. CuisinArt is fully outfitted for functions and large groups. The grand ballroom takes the place of Le Bistro at Santorini. (Santorini has moved to the Golf Club.) 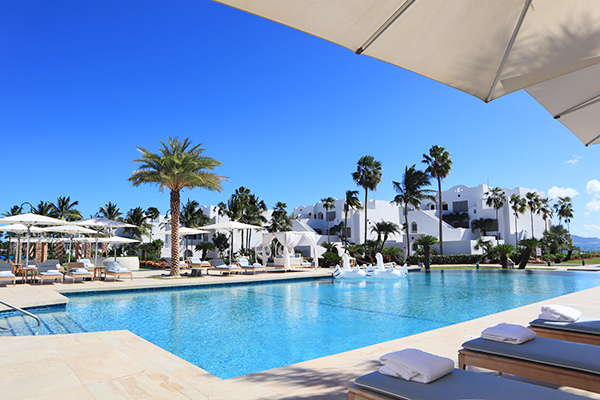 Like Santorini, it opens onto the resort's oversized terrace and largest pool in Anguilla. Spanning the width of the main house, CuisinArt's terrace is expansive. 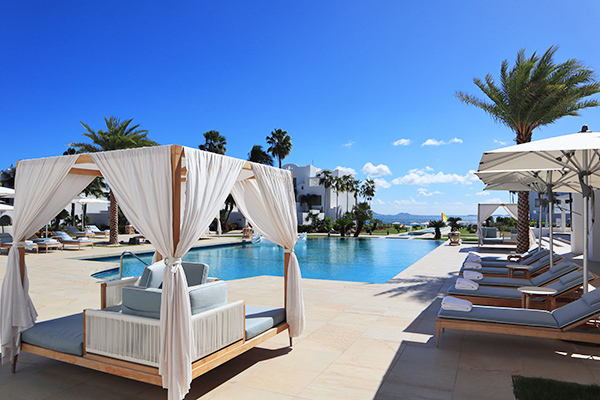 It is dotted with luxurious loungers, oh-so-comfortable and cute swinging egg chairs and private cabanas complete with billowing curtains. 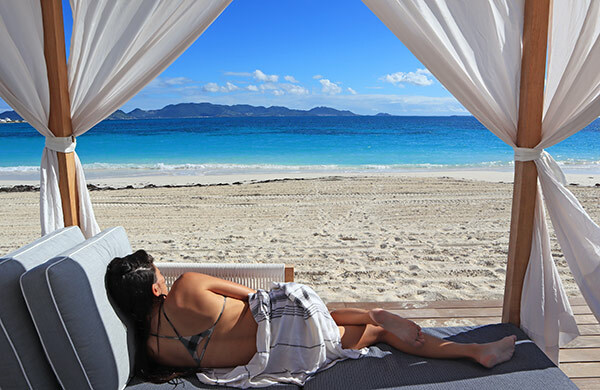 It is the ultimate spot for a mid-day snooze before diving into CuisinArt-blue. Sparkling in a million shades of blue, the pool gazes out to the Caribbean Sea and St. Martin in the distance. Food and beverages are all available pool-side. Swings, slides and teeter totters are just the beginning. 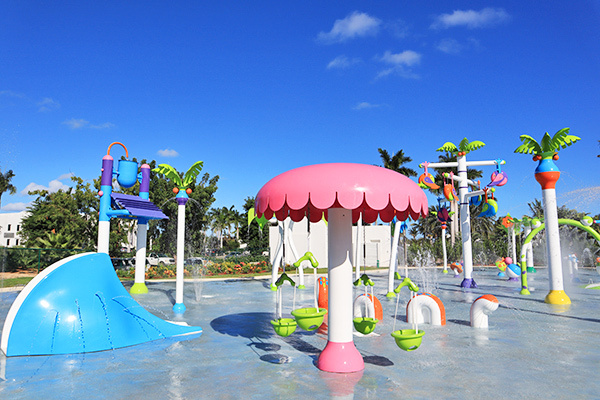 The Splash Pad takes the experience notches higher with a slide, a water mister and so much more. See the video above for a complete look at The Splash Pad. It's buckets of fun! 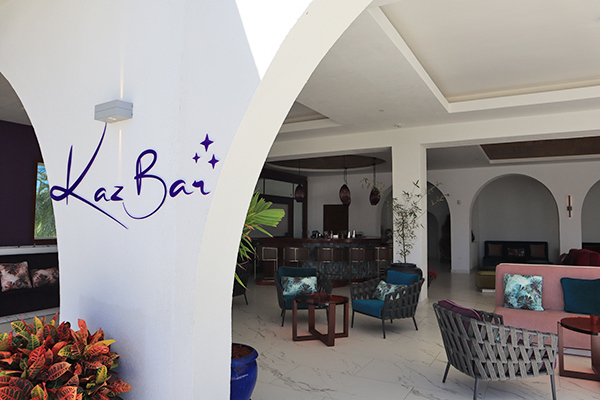 The Moroccan-styled Kaz Bar sets a whimsical mood, dressed in purples and blues. Whet your appetite with a cocktail at Kaz Bar before popping over to Mosaic. Open for breakfast, lunch and dinner, Mosaic's menu boasts a wide variety with plenty of flair. Think: Lobster Mac 'n Cheese and one of the best steaks in Anguilla, a 10oz. Dry Aged Angus Strip served with a cauliflower puree. More on Mosaic Restaurant here. For beach eats, head to The Beach Bar & Grill. The famous circular bar on the beach serves up some of the most refreshing (yet potent!) frozen cocktails! Out on the expanded deck, classic beach eats and Caribbean specialties are the flavor of the day. 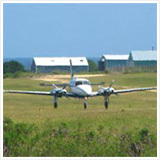 Perhaps the Flying Fish Cutter, a favorite Bajan sandwich? Or a chicken roti, a Trinidad classic? The menu also features Mediterranean-inspired dishes. The chorizo and shrimp kebab is a "must-do" while looking out to RendezBLUE. With cabanas and couches dotting the expansive deck, it is the spot for an indulgent beach day. 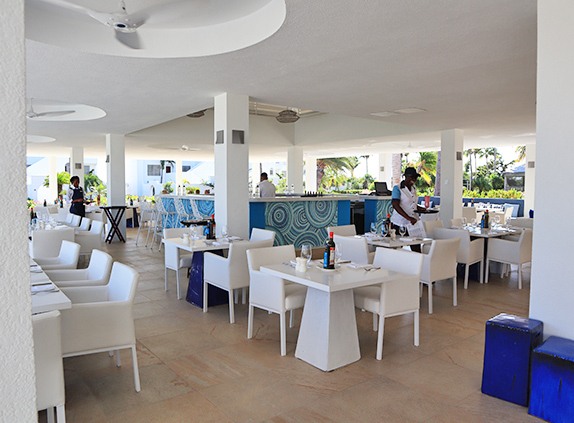 More on CuisinArt's Beach Bar & Grill here. For dinner? The entire property, CuisinArt Golf Resort & Spa and its sister property, The Reef, boast an additional three dining experiences. These include, The Yacht Club (for seafood), Tokyo Bay (for Japanese cuisine) and Santorini (for exquisite Mediterranean dishes). Stay tuned for our NEW reviews on Tokyo Bay and Santorini coming soon. 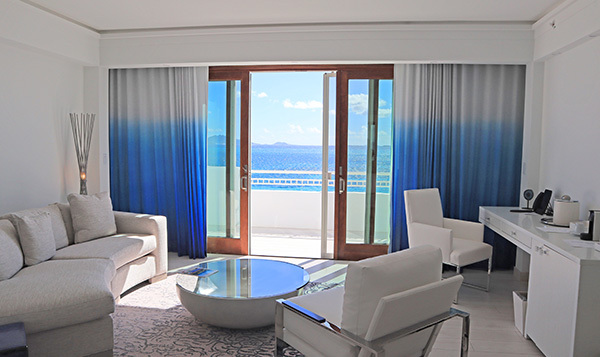 When it is time to rest your head, CuisinArt's sumptuous suites answer. 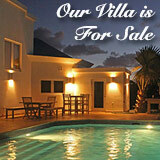 Villa Suites boast extraordinary space and extra privacy. 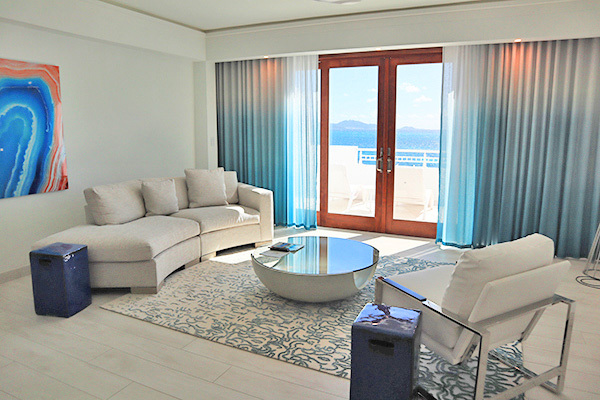 The Seaview Suites have exceptional views. And the Beachfront Suites? 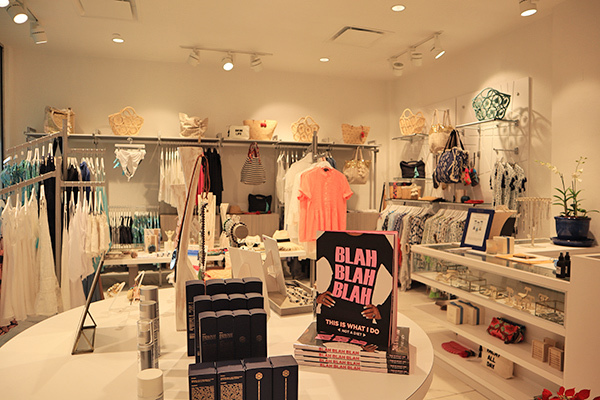 Those are our personal favorites. 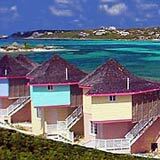 The beachfront buildings sit right on the sweep of Rendezvous Bay. Here, the sights and sounds of the Caribbean Sea surround you. 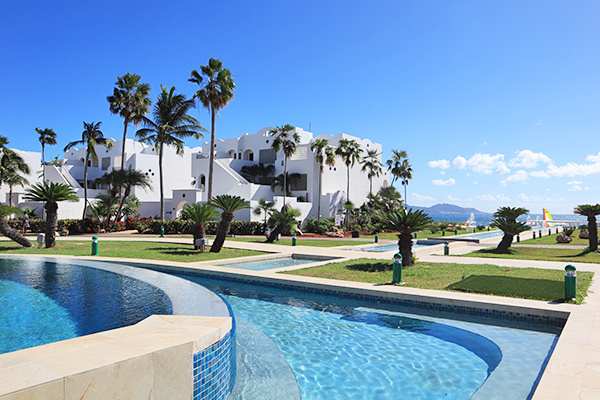 Junior suites are located on the first and second floors of the beachfront buildings. The deluxe junior suites are set on the third floor, along with the one bedroom suites. 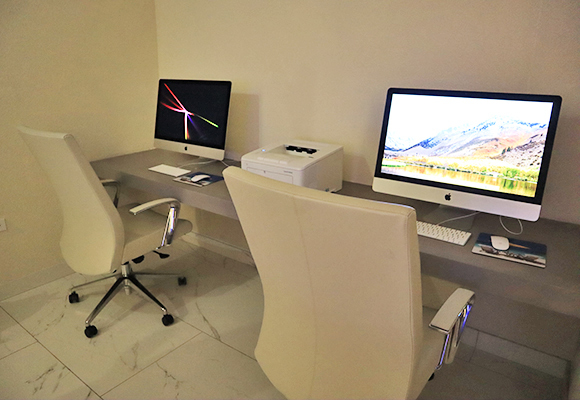 The deluxe junior suites and one bedroom suites can be adjoined to make a two bedroom suite. Running from 920 square feet to 2800 square feet, the suites are spacious. 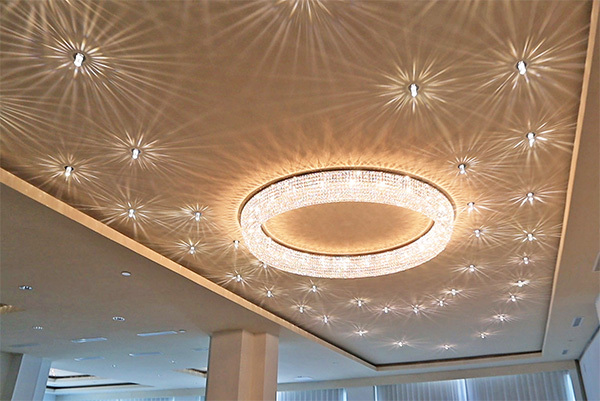 CuisinArt's design enhances that celestial feel. 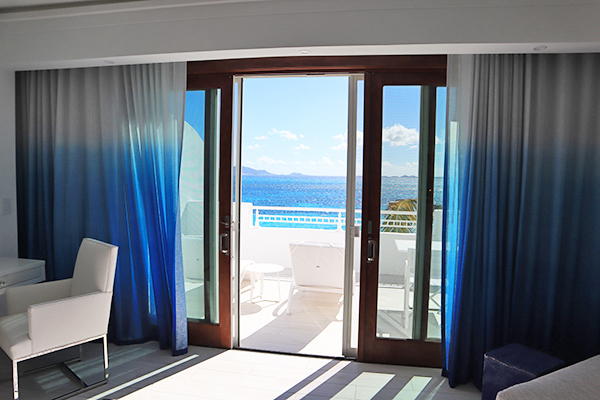 Surrounded by white walls, and with billowing ombre blue curtains, each suite is a slice of heaven. 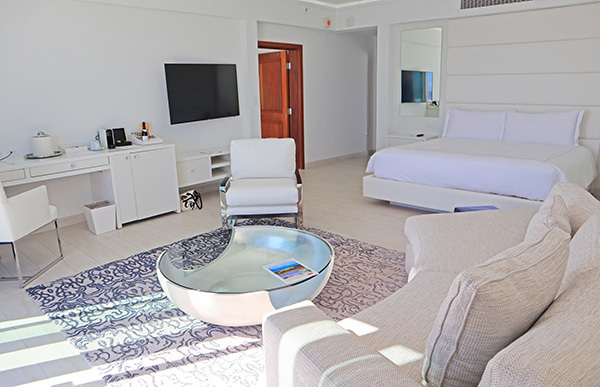 Suites are complete with large walk-in closet, outdoor lounge chairs and tables, WIFI, flatscreen TV and Nespresso machine, as well as the most luxurious bathrooms. 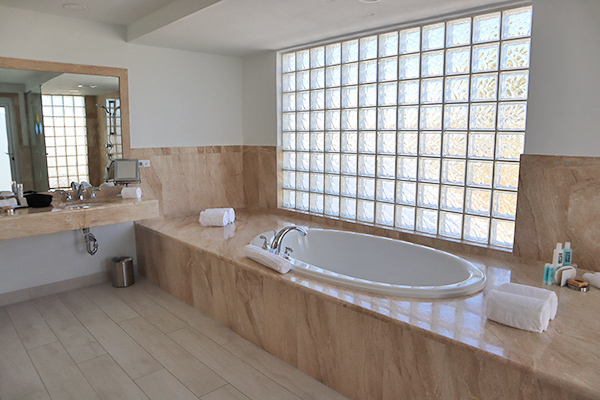 Oversized, the master suites feature deep sink tub, walk-in shower, outdoor shower and solarium. 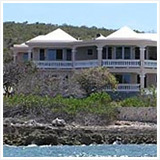 Back outside, it is all easy access to Rendezvous Bay. 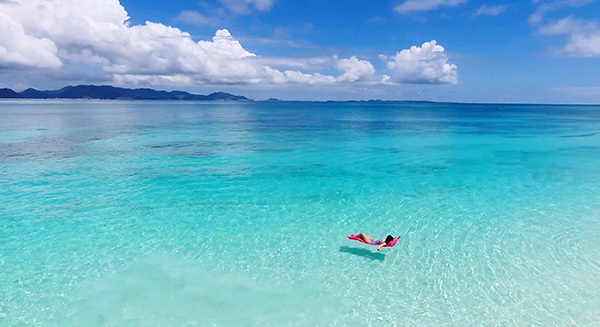 Rendezvous Bay has been voted the Caribbean's #1 beach time and time again. 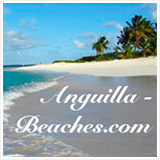 A half mile stretch of powdery-fine white sand gives way to the turquoise Caribbean Sea. 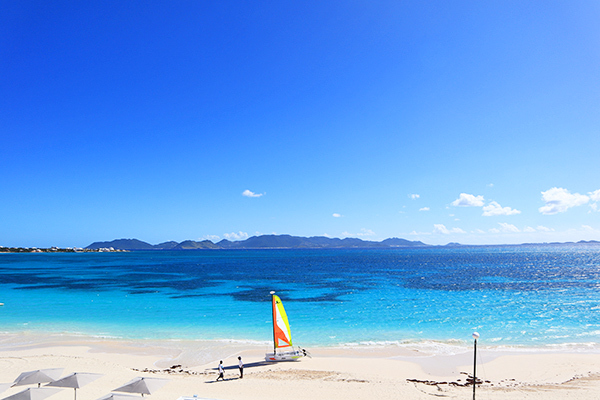 This beach's point of view is most unique, gazing out to the majestic mountains of St. Martin. CuisinArt takes full advantage of this location. Laze the day away on your lounge chair (cocktails are served to your beach chair and water is complimentary) or on CuisinArt's floating sun deck. To kick things up a notch? Water trampolines, sailing and snorkeling are all available. If it is entertainment you seek, CuisinArt is in good company. Two of Anguilla's most popular beach bars are just a short beach stroll away, The Sunshine Shack and Bankie Banx's Dune Preserve. First, CuisinArt is home to the island's only golf course. A Greg Norman design, it is often referred to as one of the Caribbean's top golf courses. 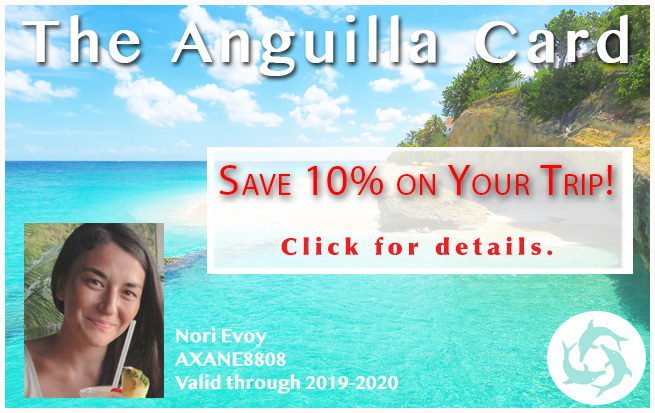 A course with challenging holes (see video below), it hosts the Anguilla Open annually which attracts hundreds from around the region and the United States. Best of all? As a CuisinArt guest, rounds of golf are only $100 and include use of clubs! More on CuisinArt Golf Club. Second, The Spa by CuisinArt. Named the "Most Excellent Spa Hotel" by Condé Nast Johansens', CuisinArt's spa is one of a kind. 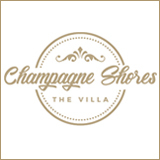 It is the island's largest spa with the most specialized and thorough treatments. The equipment is some of the most impressive, with facilities for hydrotherapy, Cranio Sacral therapy and anti-aging treatments. Spa Director Catherine Phillips embraces all-natural experiences. Think: LED gel manicures and LED facials. See below for the full Spa experience. Beyond The Spa, CuisinArt features a full fitness center with the latest technology. 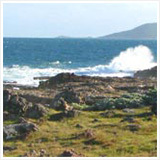 Yoga and water fitness classes, including water kickboxing are all available. More on The Spa by CuisinArt. 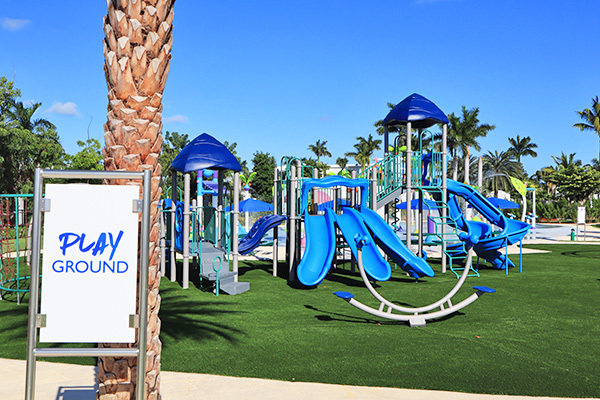 The family at CuisinArt Golf Resort & Spa exceeds expectations at every turn. 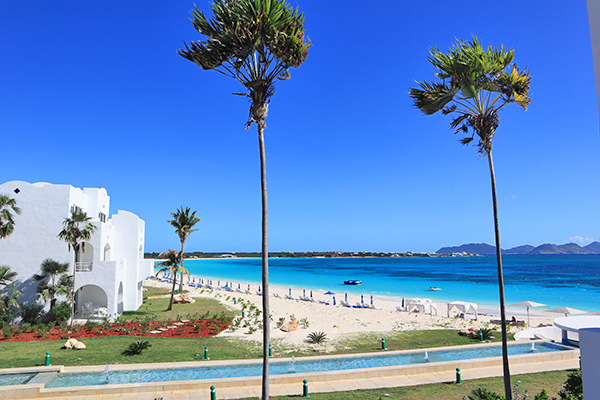 CuisinArt Golf Resort & Spa is set directly on Rendezvous Bay, one of the best beaches in the Caribbean. See exact location below.